The ALS Association has announced an initial commitment of $21.7 million from this summer’s ice bucket challenge to support six programs to expedite the search for treatments and a cure for ALS, amyotrophic lateral sclerosis. 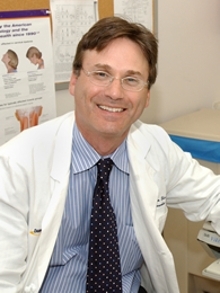 Jonathan Glass, MD, director of the Emory ALS Center and professor of neurology and pathology at Emory University School of Medicine, is one of the U.S. investigators for Project MinE, one of the initiatives that will receive funding. Project MinE is a genetic research program that aims to map the full DNA profiles of at least 15,000 people with ALS and compare them with 7,500 control subjects. The program originated in the Netherlands and includes researchers in the U.S., United Kingdom, Portugal, Ireland, Spain and Belgium. "Having these funds from this summer’s ice bucket challenge will provide a considerable boost in helping us to gather and analyze DNA profiles to better understand the genetic basis of this terrible disease," says Glass. ALS is a progressive neurodegenerative disease that affects nerve cells in the brain and spinal cord. It is commonly referred to as Lou Gehrig’s Disease, after the baseball Hall of Famer. As the disease progresses, the motor neurons that control function of the muscles in the body die and the brain loses the ability to control muscle movement. There is currently no cure for ALS.